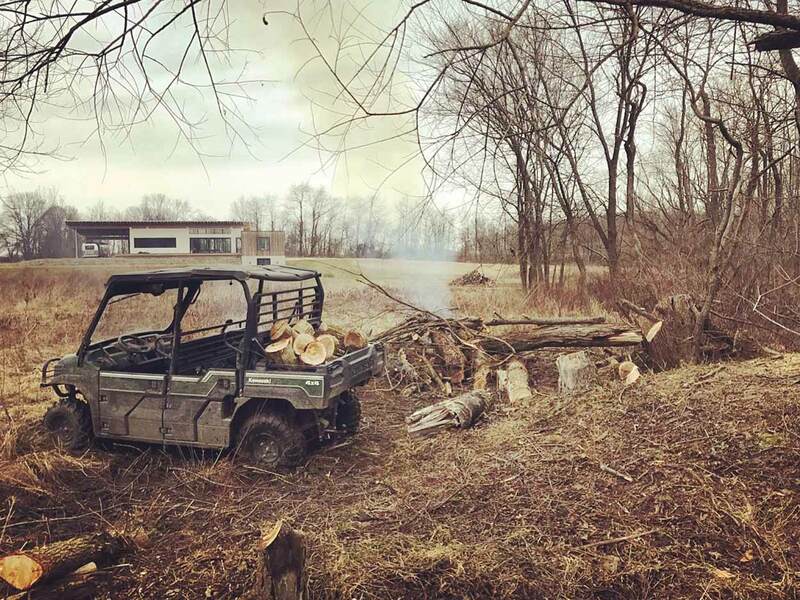 Keep on chopping wood at Copperwood – client living the dream taking advantage of a warm February day – little farmhouse in the distance. Check out the latest updates to the project page here. This project was designed by HAUS and built by WERK | Building Modern, our sister construction management company. It is interesting to compare the projects we build versus the ones we do not build. This project is one of the most successful realizations of Architect’s design intent of all of our recent projects. Design concepts and alternatives along the way received the benefit of Architect daily oversight and clear communication at each step of the process, which is a major benefit of direct collaboration between Architect, trade contractors, and Owner. Direct, clear communication by less parties may also translate into less time, less cost, and higher quality.